Cummins Custom Upholstery | We guarantee high quality upholstery and furniture restoration work that will give your pieces a second life. Cummins Custom Upholstery, in Whitby, Ontario, has over 35 years of experience in the upholstery and custom home décor industry! We provide clients with the best service, care and high quality workmanship that hearkens back to the days of traditional Old-World craftsmanship. For more information on our custom work, contact us at Cummins Custom Upholstery in Whitby, Ontario, today. We specialize in bringing your old tired, antique furniture, back to life with new upholstery, wood treatments and custom cushions. Our talented team can custom build furniture, as well as provide new foam to restore the comfort of old furniture. We carry many beautiful fabrics to choose from and all upholstery work is done by professionals with 35 years of custom upholstery experience. 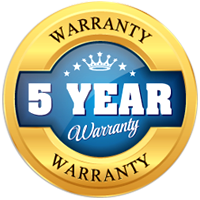 We stand behind what we produce with a 5-year workmanship guarantee. Just to name a few! With such a wide range of fabrics to choose from, we have something to complement every lifestyle and taste.